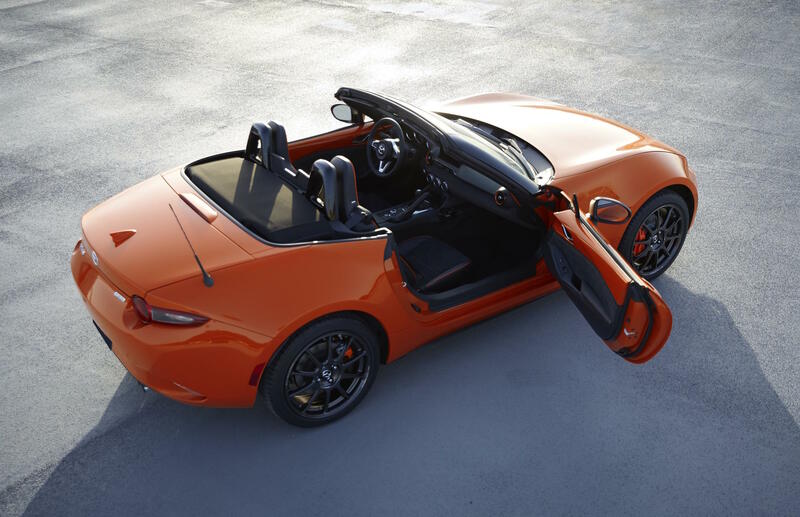 Mazda is celebrating the 30th anniversary of what is known as the world’s most popular open-top sports car. 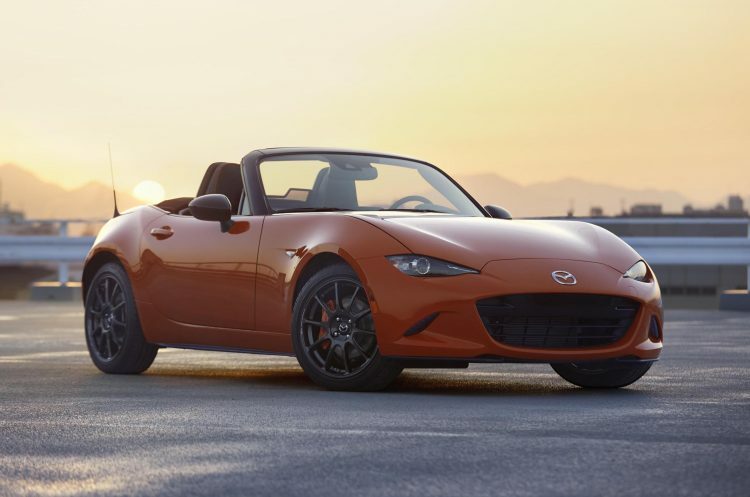 And to mark the occasion, the company has devised this, the MX-5 30th Anniversary Edition. The veil was lifted from the limited edition model at the Chicago auto show in the US, which is just getting underway now. Interestingly, Mazda unveiled the original MX-5 30 years ago at the same event, back in 1989. 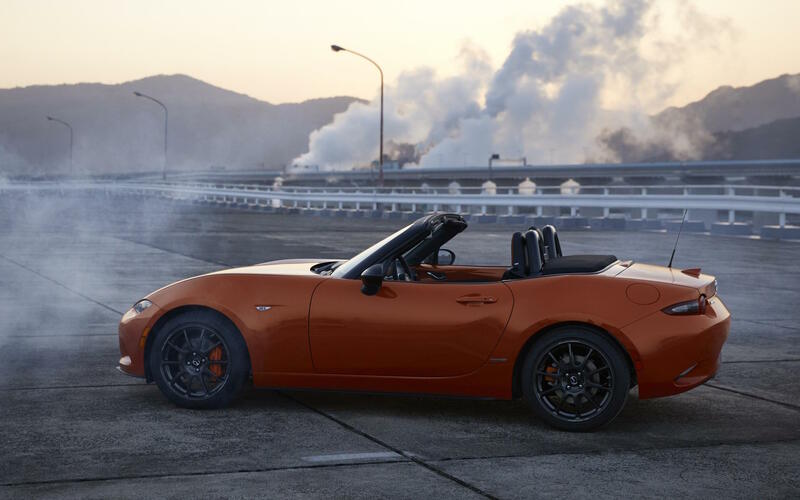 Since then, over one million examples of the MX-5 nameplate have been sold around the world. 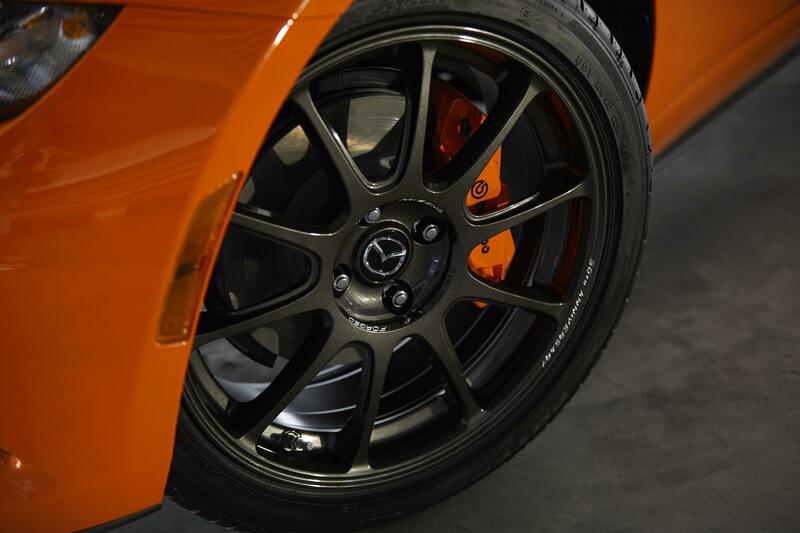 For the 30th Anniversary Edition, Mazda has created an exclusive Racing Orange colour scheme which is inspired by the breaking dawn of an exciting new day. Complimenting this is a set of RAYS ZE40 RS30 forged alloy wheels. 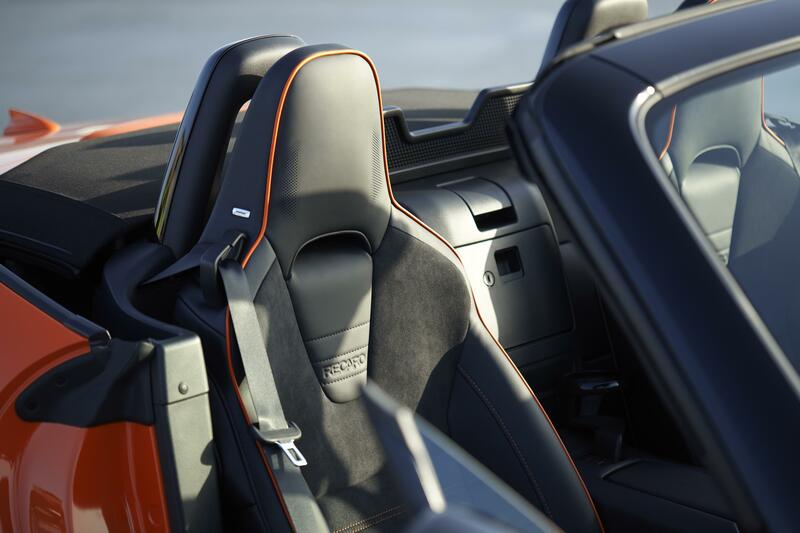 These were developed exclusively by RAYS for the MX-5. 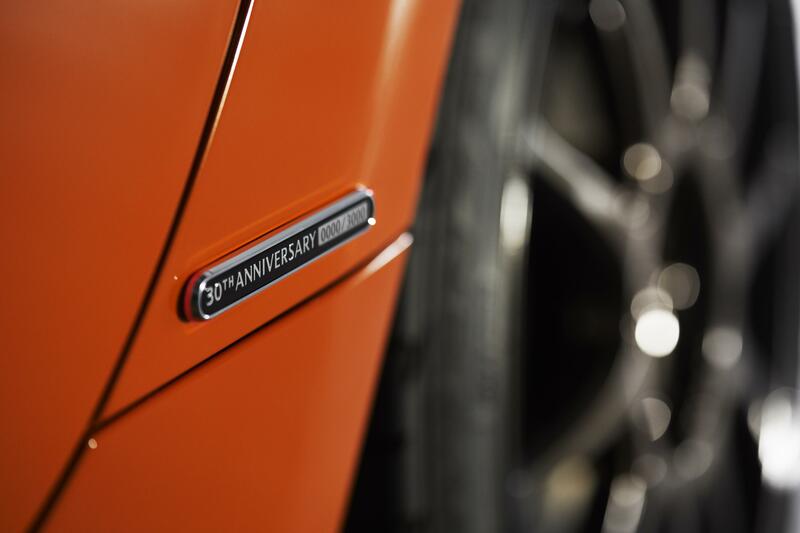 There’s also a special build number plaque and some orange highlights inside and out. 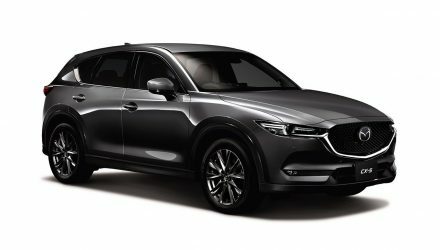 Mazda is planning to make just 3000 examples of the special edition, with just 30 confirmed for Australia. 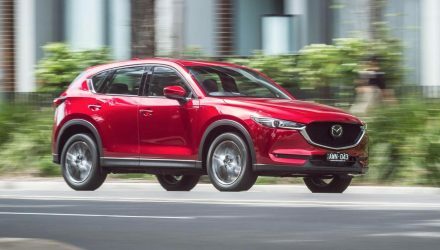 Both soft-top and hard-top body styles are being produced, although only the soft-top version is being offered in Australia. It’s based on the top 2.0L Roadster GT variant. Other highlights include Bilstein dampers – perhaps similar to the awesome setup we saw on the MX-5 limited edition from last year – as well as Brembo brakes, Recaro seats, an Alcantara trim, and various orange highlights to match the exterior such as brake calipers, seat piping and stitching, and vent surrounds. 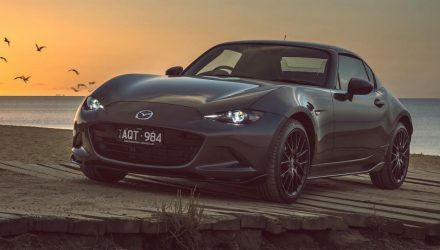 Interested punters are being advised local sales will be “first come first serve” basis, although loyal MX-5 customers will receive invitations via eDM. 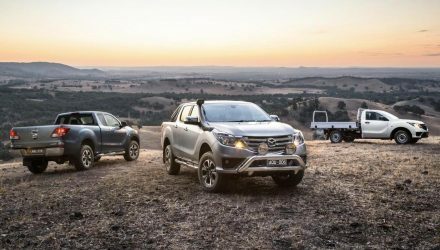 Deliveries are expected later this year. Prices are yet to be announced.